How can Internet Monitoring help your Organization? The topic of internet monitoring is known to raise a few eyebrows, but if you think about this from an administration level, it’s easier to appreciate. What do I mean by this? 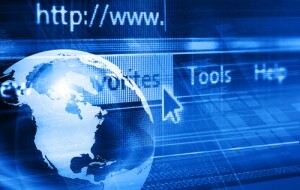 In short, internet monitoring will help to cut costs and increase productivity. How can internet monitoring help cut costs? In specific regions, similar to a dial-up internet concept, internet charges are based on the time spent browsing the web. In this given scenario, an administrator would not want a user to use valuable work time researching something that does not benefit the company; this is something that I would consider a double loss, because, as most know, time is money. To address this, an internet monitoring tool may be used to block access to specific sites or domains that are known to be non work-related. Adding to this concept, most ISPs in the States base their charges on bandwidth available to the network. Keeping unnecessary streaming media out of the workplace can drastically reduce monthly charges, and bandwidth allotted can be reserved for far more fundamental applications. In addition, malware is a growing problem in the workplace, as it is becoming more widespread across the web and can pose great organizational threats. The use of an internet monitoring tool can essentially filter internet traffic with the use of built-in scanning modules, which can help reduce the amount of viral threats that are brought into the workplace. Not only is the ability to block specific internet traffic beneficial, but the ability to monitor traffic can also be a positive. Take a monitoring scenario where a productive end user’s browsing habits are reviewed and projected to other end users in a modeling process. Perhaps this user has more credible sites in his favorites listing, or quite possibly, these frequently used sites are easier to navigate. Using the specific practice of modeling positive employees can help create a more productive and efficient workplace. So what are your thoughts on Internet Monitoring and how it can benefit your organization? We must keep in mind that the internet has a lot to offer, but maintaining a healthy respect for it can increase its effectiveness as a tool in the workplace. Internet monitoring can help an administrator a lot but it could also be regarded as Internet censorship. This is a problem not only at a company level but for society as a whole. Bandwidth is cheaper these days, so if a company depends on savings from bandwidth, I can only pity this company. Of course, all equal, it’s stupid to have users watch videos online when you need the bandwidth for better purposes. The only acceptable reason for Internet monitoring is to deal with malware and other attacks.